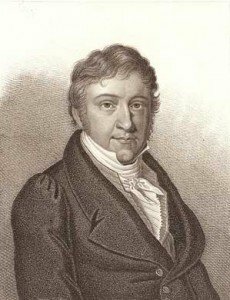 Johann Nepomuk Hummel (1778 to 1837) is enjoying something of a revival these days. Until recently, all that most people knew about him, if anything, was that he wrote a famous trumpet concerto. Few played any of his other works, and fewer still realized that he was one of the most famous and influential pianists, composers, and teachers of the 19th-century. This is now changing in a big way. Soloists and ensembles throughout the world are performing and recording Hummel’s music, scholars are writing about it, and now an internationally renowned dance company is even dancing to it. The Mark Morris Dance Group will offer “Festival Dance,” choreographed to Hummel’s Piano Trio in E Major, op. 83 as part of its program at Seiji Ozawa Hall, Tanglewood on June 28th and 29th. Pianists probably have the most reasons to celebrate, given the large and dazzling keyboard repertory that Hummel left for them. One of the greatest keyboard virtuosos of his or any era, Hummel was dubbed “the first Liszt” by Carl Friedrich Zelter, and most of his piano pieces are of “Lisztian” difficulty. One doesn’t venture into Hummel piano territory with a faint heart and a weak technique. But this past year alone there have been concerts of Hummel’s knuckle-busting piano music in Bratislava, Boston, Seattle, London, Bordeaux, Paris, and Casablanca. The great Sonata in F-sharp Minor, op. 81 is the piece most frequently played, and deservedly so. Written in 1819, the dramatic themes and advanced chromatic language of its first movement, the richly ornamented, Chopinesque melodies in the second and the irresistible, almost breathless finale anticipate by some 20 years the sonatas of the next generation of romantic composers. Liszt expressed his unqualified admiration for the F-sharp minor sonata, and performed it often. Robert Schumann went even further: he wrote that this sonata should make Hummel “immortal.” Maybe Schumann will finally be proven right. Schumann was also well aware that Hummel’s piano concertos were the ultimate proving ground for 19th-century pianists. No self-respecting aspiring virtuoso of the period would have dared make a debut without playing either Hummel’s A-major or B-minor concertos — and that includes both Schumann and his wife Clara, not to mention Liszt, Chopin, Franck, and even Grieg. Not many pianists play them today, unfortunately, although there was a performance of the A-minor concerto last year by Benjamin Frith and the Warsaw Philharmonic. Hummel himself wowed Warsaw audiences with this same concerto 182 years earlier, in 1828. 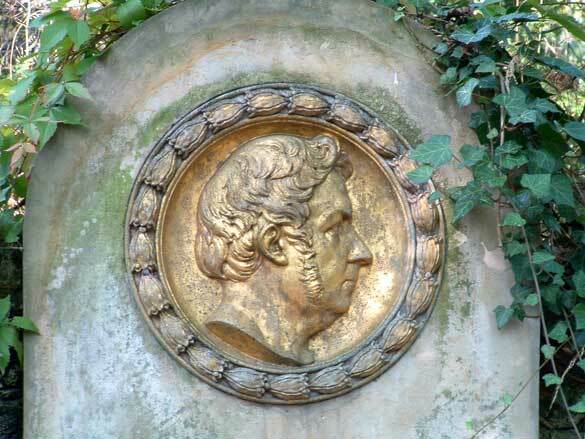 The young Chopin was there. He attended every concert Hummel gave, and the impact was immediate and electric: Chopin would write his only two piano concertos shortly after Hummel’s visit, and much of Chopin’s florid piano style can be traced to Hummel. Instrumentalists and ensembles rummaging through Hummel’s attic are also discovering treasures. His three string quartets, with their comical quotations from Handel’s Messiah and Bach’s Goldberg Variations; his piano trios; his two septets; and the violin and flute sonatas, are all being heard more often. Violists should have a particular reason to be pleased with Hummel for writing some excellent music for their neglected instrument. Much of it has recently been recorded by the Polish violist Marcin Murawski. The disc on the “Acte Préable” label (APO 226) features the Sonata for Viola and Piano, op. 5, no. 3; an Arioso for Viola and Piano; and the Potpourri, op. 94. Cellists seem to have not yet discovered an equally exciting addition to their repertoire: Hummel’s Sonata for Cello and Piano in A-Major, op 104. A “big” work with big romantic gestures for both instruments and some show-stopping tunes for the cello, it is written in a style that one usually finds in cello sonatas from the second half of the 19th-century, such as those by Brahms. One pleasant surprise for Hummel prospectors is that this great pianist was equally famous for his choral music. Much of it was written during his years as Haydn’s successor at Esterháza, and “Papa” Haydn’s strong influence and guiding hand is evident throughout, so much so that first-time listeners to Hummel’s sacred music often mistake it for Haydn. Richard Hickox made this repertoire available some years ago with his fine recordings of the masses, but Hummel the opera and cantata composer has remained largely unrecognized — until last year, that is, when the French conductor-diplomat Didier Talpain and Solamente Naturali of Bratislava gave the first modern performances and recording of Hummel’s only published opera, Mathilde von Guise. The same conductor and ensemble have also revived other major choral and vocal works by Hummel, including the Cantata for the Wedding of Napoleon and Marie Louise von Habsburg, the Te Deum and the cantata The Crossing of the Red Sea. A performance of this “Red Sea” cantata is planned by a consortium of seven European conservatories led by Peter Zeifart of the Haydn “Conservatorium” in Eisenstadt. Hummel’s time has indeed come, and not a moment too soon. As Mozart’s prize student, Haydn protégé, and Beethoven’s friend and competitor, he exerted a powerful influence on the next generation of composers and pianists, combining a classical sensibility with the virtuosic flair of the 19th century. The young Robert Schumann wanted nothing more than to be called a “Hummel student” when he was dreaming of becoming a piano virtuoso. The same was true for Franz Liszt, before he went to Czerny. Schubert modeled his “Trout” Quintet on an arrangement of Hummel’s Septet and chose Hummel as the dedicatee of his last three piano sonatas. Chopin, as we have seen, was the romantic composer most affected by Hummel. He confessed as much in a letter to a student: when asked about the greatest composers, Chopin listed three “masters we must recognize”: Mozart, Beethoven, and Hummel. And dancing? I think that the jovial and good-natured Weimar Kapellmeister would have approved of Morris’s “Festival Dance,” which has been praised by audiences in the United States and abroad. As dance critic Joan Acocella wrote in The New Yorker last April, “ ‘Festival Dance,’ like its score, is jolly and vigorous. The performers tear around; they stamp, they dance in circles… Morris is good at portraying joy.” The same could be said for Hummel, whose music was so beloved in 19th-century Europe. All we have to do now is perform it and listen. Let the revival continue. Mark Kroll’s biography of Hummel was published in 2007 by Scarecrow Press. He continues to write about Hummel, publish editions of his music, and perform and record it. First touring virtuoso (it was him who played together with young Paganini on few recitals), author of well-known Klavierschule from 1828, not very handsome and thin man; a guy who was born in the capital of Hungary, spoke German as native language, and a citizen of Europe pre- and after the Napoleonic Wars… yet not a cult figure those days, but rather an undiscovered character. His style of writing, grounded in that of the first Viennese school and transformed into the brilliant and virtuosic style of the early Romantic period, was considered passé — and thus his works were abandoned in favor of purely romantic ones and rarely played. Fortunately, the situation has changed in recent times, and more and more musicians are finding in his vast creations charm, elegance and joy, tinged with some nostalgia and sadness for a man who shared the same feelings as we do. We don’t know exactly if Hummel himself played the viola. What we know for sure is that his father Johannes, a gifted violinist, did—as it is stated in program of a private concert on 28 January 1816 in Vienna (the name Johannes Hummel on viola appears among the other instrumentalists). Since young Nepomuk learned the violin it is also very likely, as it was common in his days, to change or add instruments as he grew older . And we know for sure that during his stay at Mozart’s home, youngm Nepomuk had the opportunity to listen to his great teacher playing the viola—especially in string quartets (by the way it could have been this ”team,” as it is historically proven: Joseph Haydn and Carl Ditters von Dittersdorf on violins, Wolfgang Amadeus Mozart on viola and Jan Krtitel Vanhal on cello… my God!). I am thus deeply convinced that Hummel played on my instrument—maybe only for pleasure at home, or for his guests or family—and he also esteemed the viola in the same way as did Mozart. So, aren’t we violists (and – not only violists!) blessed with Hummel’s sonata and especially with the Potpourri, which reveals his devotion and admiration for Mozart as a person and for his operas? Terrific article! Thanks! I hope you will also share some of your impressions of Morris’ choreography for the Hummel in a future article! What a rich article. Illuminating. Made my day.Did Felix Mendelssohn say anything about Hummel? Mendelssohn was also an admirer of Hummel, although not nearly as much as was Chopin. The same can be said about the great pianist Ignaz Moscheles, who was Mendelssohn’s teacher for a short while. An interesting entry in Moscheles’ diary tells us a lot about their opinion of Hummel. After a jolly dinner that the three pianists enjoyed together one evening, each virtuoso entertained his companions with some improvisations. Hummel was renowned for his skill at this almost-lost art, but it appears that he was probably not at his best that evening, since we read that Moscheles and Mendelssohn “yawned an obligato accompaniment” to Hummel’s improvisation.